Schoep's Ice Cream Company of Madison, WI, is alerting customers that because of a packaging error, Kays Classic Vanilla Bean Ice Cream contains an undeclared allergen. Consumers, who have an allergy or severe sensitivity to pecans, run the risk of serious or life-threatening allergic reaction if they consume this product. The product was shipped to Food City and Super Dollar stores Kentucky, Virginia and Tennessee. 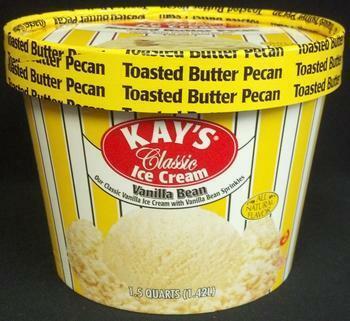 This recall was initiated upon discovery that certain containers of Kays Vanilla Bean Ice Cream contained Kays Butter Pecan Ice Cream. Consumers who have purchased the affected product are urged to return it to the place of purchase for a full refund. Anyone with questions or concerns may contact Schoep's, the manufacturer, at 1-800-891-6411 extension 71. 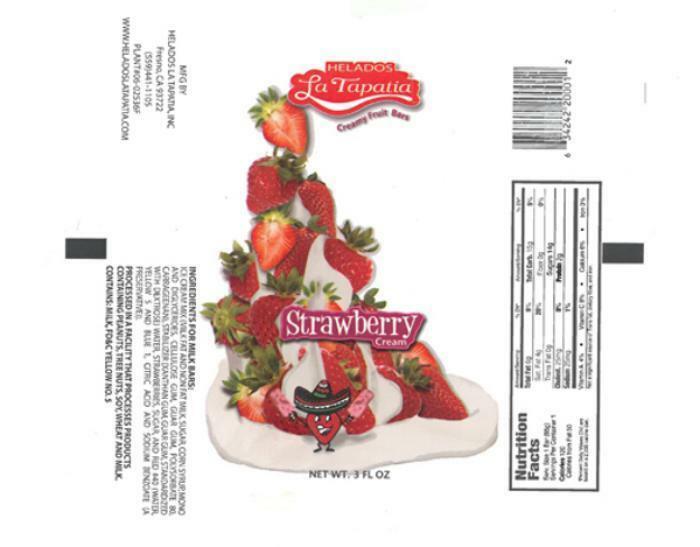 Helados La Tapatia of Fresno, Calif., is recalling 13 milk based ice cream products manufactured from October 8, 2015, through October 16, 2015; and its Cookies "n" Cream bar and Granola bar. The products contain wheat, almond, egg and soy, allergens not listed on the label. No illnesses or adverse reactions have been reported to date. Consumers with questions may contact the company at 1-559-441-1105 Monday through Friday, 6:00a.m. – 5:00p.m. (PDT); Saturday, 9:00a.m. – 5:00p.m. (PDT); and by email at helatapatia@sbcqlobal.net. Nestlé USA is recalling its Nestlé Drumstick Club 16 count Variety Pack and 24 count Vanilla Pack (with cones marked for easy individual sale). The two pack sizes contain 4.6-fl. oz. 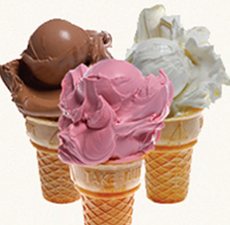 cones and were manufactured in Bakersfield, Calif., and distributed nationally. Maple View Farm is recalling pint containers of Cookies & Cream, Carolina Crunch and Cookie Dough ice cream. Some or all of the products contain wheat, soy, almonds and peanuts not declared on the packages, which can cause serious allergic reactions in people who have an allergy or sensitivity to these ingredients. No complaints of allergic reactions to this product have been reported to date. 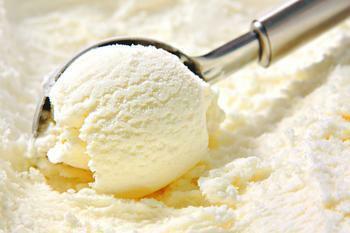 The recall affects 2,650 pints of ice cream distributed between Sept. 5, 2012, and April 24, 2013. The products were distributed to a limited number of grocery stores and specialty shops in Carrboro, Chapel Hill, Durham, Hillsborough, Mebane, Morehead City, Morrisville, Pittsboro, Snow Camp and Wilmington, N.C.
Consumers who have allergies to these ingredients should return the product to the place of purchase or throw it away. 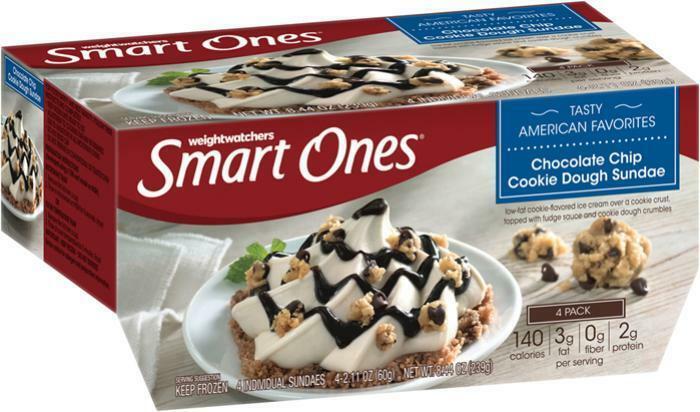 Weight Watchers is recalling approximately 100,000 cases of Weight Watchers Smart Ones Chocolate Chip Cookie Dough Sundae frozen desserts. There have been no consumer complaints or reports of illness to date. The products were distributed to retailers throughout the U.S.
Customers who purchased the recalled products should not eat them, but return them to the store where purchased for an exchange or full refund. Consumers with questions may call 1-866-572-3805,. Monday through Friday, 9 a.m. to 6 p.m. (ET). 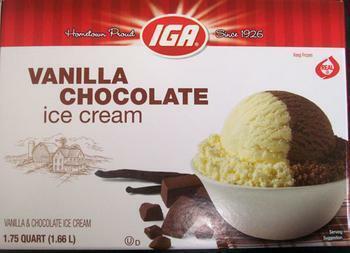 Dairy Fresh is recalling a specific batch of IGA Brand “Vanilla & Chocolate” Ice Cream (1.75 quart, 1.66L) with the plant code “3783” and a SELL BY date of 08-13-13. The company is also recalling packages with a sell date between 06-08-13 and 08-27-13. The package incorrectly contains Heavenly Hash ice cream, which contains almonds, coconut, and soy, which are allergens not declared on the carton. The company says it is not aware of any other complaint or illness to date related to this issue. A small number of Vanilla & Chocolate packages were inadvertently used when the company was producing Heavenly Hash ice cream. As a result, a consumer may purchase a Vanilla & Chocolate package that contains Heavenly Hash ice cream. This product is produced by the Dairy Fresh processing facility in Winston Salem, North Carolina, and is sold at IGA stores. Consumers who purchased the product may discard it and return the product package to the place of purchase for a full refund or exchange. Consumers with questions can contact Dairy Fresh 1-800-587-2259 between 8:00 AM to 5:00 PM, Central Time, Monday through Friday, excluding holidays. Altijira Murray Products is recalling 16-oz. 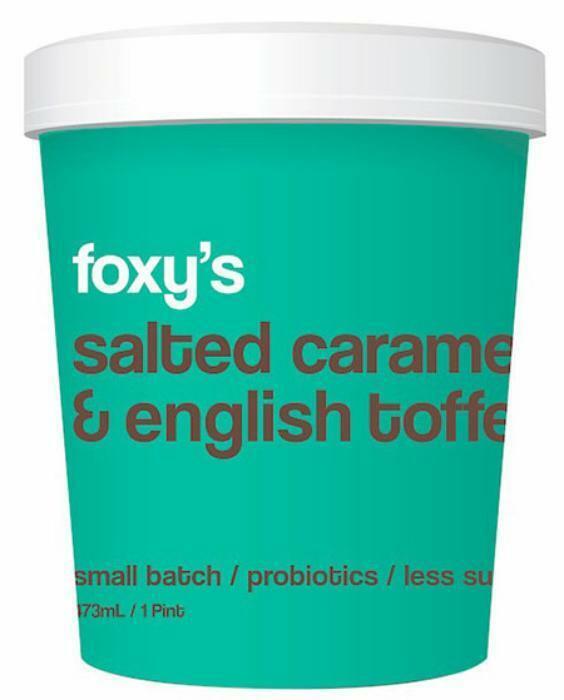 (pint size) packages of Foxy’s Thoughtful Ice Cream that may be contaminated with Listeria monocytogenes. The recalled products were distributed in stores in California and Pennsylvania and the North East, and were available online. Consumers with questions may contact the company at 805 232 4519 between 9 am and 5 pm (PST) Monday through Friday, or by email at foxysrecall@gmail.com. 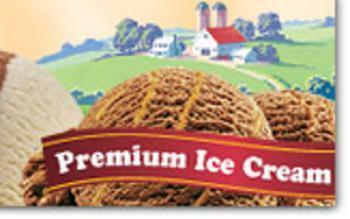 Turkey Hill Dairy of Conestoga, Pa., is recalling a variety of ice cream and dessert products. There is a possibility that some packages may contain metal shavings. There have been no reports of any foreign objects being found or any injury or illness. The recalled items are limited to packages sold at selected Turkey Hill Minit Markets in Pennsylvania, selected Wal-Marts in Pennsylvania and West Virginia, and other small grocers and convenience stores in Maryland and Pennsylvania. All affected stores are directly delivered to and serviced by Turkey Hill Dairy and have been instructed to remove the product from their shelves. All affected containers would have been purchased after October 1, 2013. Consumers who have purchased affected packages of the products listed with the code cited above can return them to the place of purchase for a full refund or contact Turkey Hill Dairy at 1-800-MY-DAIRY (1-800-693-2479). Ice Cream Specialties of Merrillville, Ind., is recalling Dairy Rich Chocolate Ice Cream because it may contain peanut butter, which contains a peanut allergen. There have been no illnesses reported to date in connection with this product. 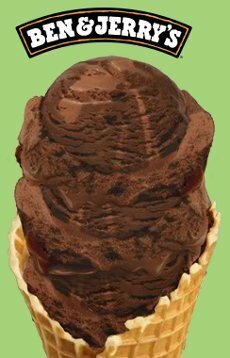 Dairy Rich Chocolate Ice Cream was distributed in Northwest Indiana, Northeast Illinois and Deer Park, N.Y., and reached consumers through grocery stores and other retail food outlets. The affected product is packaged in 56-ounce paper cartons with the Dairy Rich graphic logo and a picture of a chocolate ice cream scoop on the front and back panels. The recall is limited to packages of Dairy Rich Chocolate Ice Cream bearing the following UPC and Best Used by Date. The Best Used by Date can be located on the left-hand end panel (the side panel) of the carton. No other Dairy Rich Ice Cream products are affected. 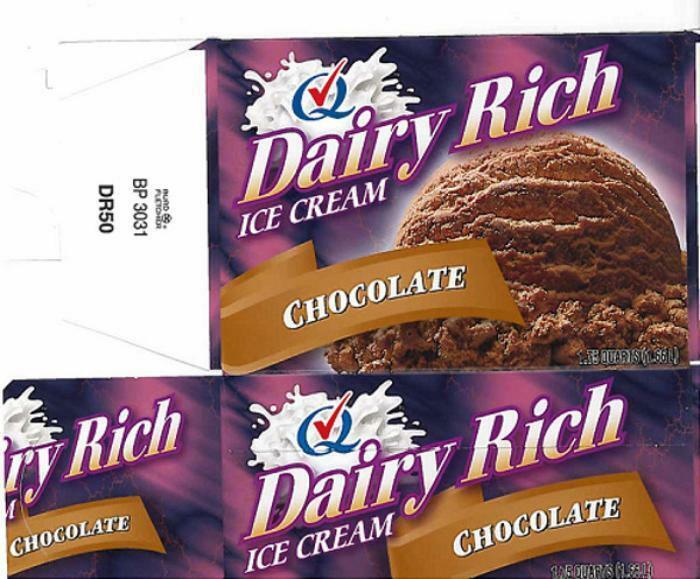 Consumers who have purchased Dairy Rich Chocolate Ice Cream are urged to return it to the place of purchase for a full refund. Consumers with questions may contact the company at (219) 980-0800, Monday – Friday, 8:00 a.m. – 5:00 p.m. CST. 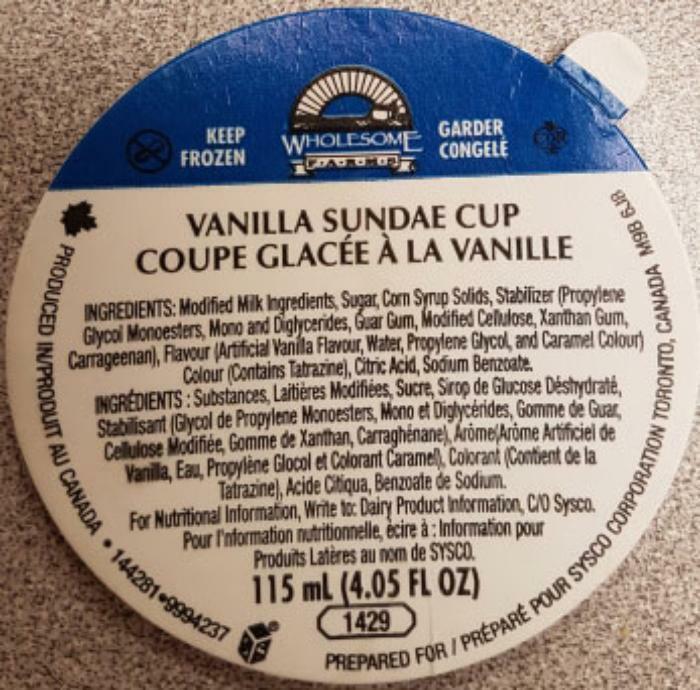 Central Smith Creamery of Selwyn, Ontario, Canada, is recalling Wholesome Farms brand Sundae Cup products. Customers who purchased the recalled products should not consume them, but throw them away or return them to the store where purchased. Consumers seeking more information may call Ian Scates of Central Smith Creamery at 1-800-461-1464. 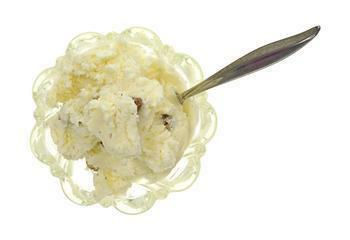 House of Flavors Ice Cream Company of Ludington, Mich., is recalling its Belmont Chocolate Chip Cookie Dough Ice Cream. The recall was initiated in response to two complaints of chocolate covered nuts being found in the product and included associated allergic reaction from consumers. 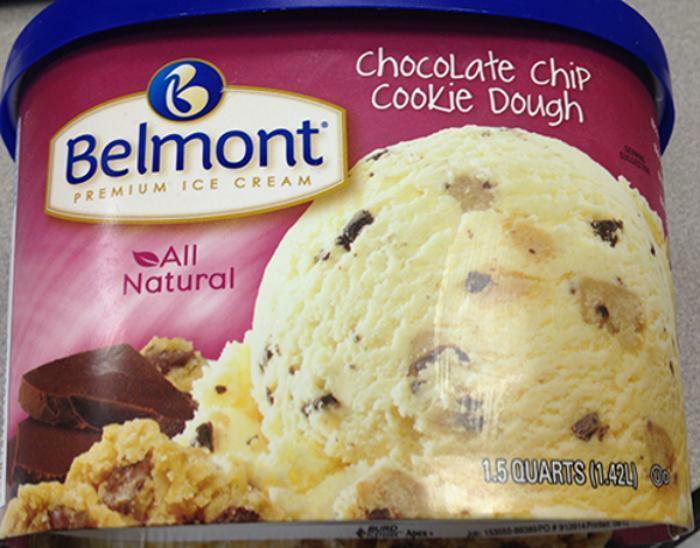 Only Belmont Chocolate Chip Cookie Dough Ice Cream packed in 1.5 quart containers stamped with UPC code 4149816310 and date code 13340 and 13341 and marked "Best by Date: Dec. 7, 2014" are affected by the recall. The recalled product was distributed in Aldi stores in Illinois, Indiana, Michigan and Ohio. Consumers who have purchased the recalled products should return them to the store where they were purchased for a full refund. Consumers may contact House of Flavors at 1-800-930-7740, extension 2229, Monday through Friday 7 am- 5 pm. (EST). Wells Enterprises is recalling Blue Bunny Premium Bordeaux Cherry Chocolate Ice Cream sold at retail grocery stores in Kansas, Indiana and Iowa. 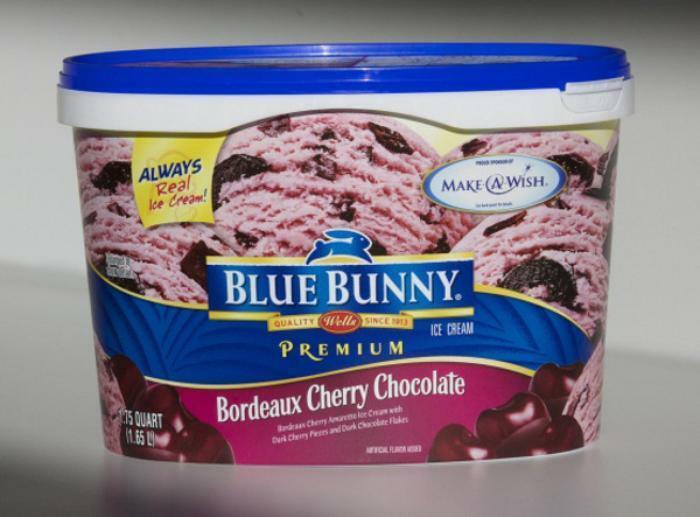 The recalled Blue Bunny Premium Bordeaux Cherry Chocolate Ice Cream was sold in 56-fluid ounce packages with LOT #40010 TTT 19115 18:00 4100 and a UPC 070640034123 with a Best Used By Date of 10/9/15. Rite Aid is recalling approximately 560 16-oz. 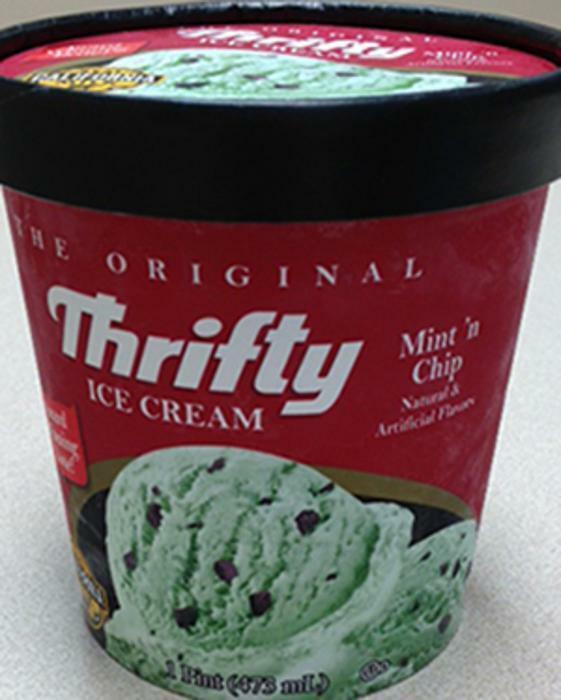 pints of Mint ‘n Chip ice cream distributed under the Thrifty brand name. These pints contain pistachio ice cream; however, the ice cream was inadvertently placed in containers labeled as being Mint ‘n Chip. People who are allergic to nuts may run the risk of serious or life threatening allergic reaction if they consume the product. The recall affects only 16-oz. Mint ‘n Chip ice cream pints sold exclusively in Rite Aid stores in California. Affected products can be identified by the UPC code 1182264327 located on the back of each pint. The affected products also contain the lot number 24273 and an expiration date of Oct. 28, 2015, located on the bottom of the pints. Consumers who are allergic to nuts, including pistachios, should not consume these pints and can return them to any Rite Aid store for a full refund. Consumers may call calling 1-800-RITE-AID Monday through Friday from 8 a.m. to 8 p.m. EST and Saturday from 9:30 a.m. to 6 p.m. EST for more information. Fieldbrook Foods Corporation is expanding its earlier recall to include all orange cream bars and chocolate coated vanilla ice cream bars produced in 2017 its Hoyer 1 Line at its Dunkirk, N.Y., plant (plant code 362677). Also being recalled are 28,751 cases of Raspberry Cream Bars that were included with Orange Cream Bars in ALDI seasonal split-case purchases. The split-cases were shipped between March and August 2017. Seoul Shik Poom of Englewood, N.J., is recalling Choripdong Chocolate Almond Richmond Ice Bars. The products may contain eggs, an allergen not listed on the label. 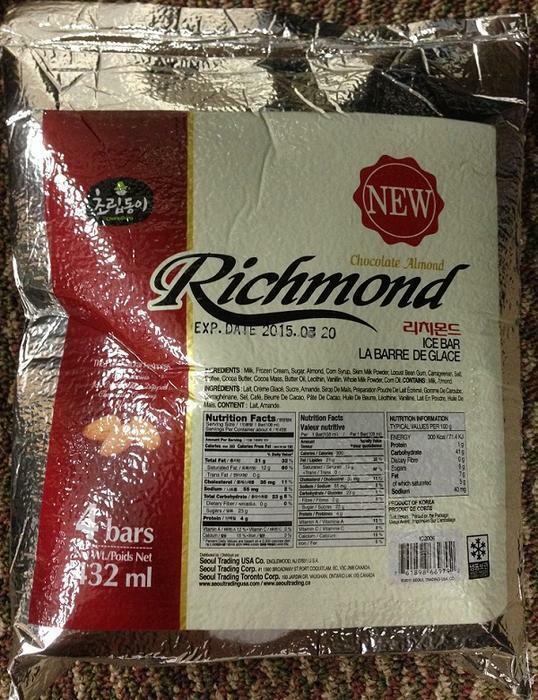 The recalled Choripdong Chocolate Almond Richmond Ice Bar (4bars/432 ml) was distributed nationwide through retail stores. The product was sold in a silver plastic cooling bag marked with code # IC1006 and UPC CODE: 761898632925, and has an expiration date of 03/20/2015 stamped on the package. Consumers who posses the recalled product and are allergic to eggs should return them to the place of purchase for a full refund. Consumers with questions may contact the company at 201-567-7780 - ext 140, Monday through Friday between 9:00am - 5:00pm (ET). The Kroger Co. is recalling select containers of Private Selection Denali Extreme Moose Tracks Ice Cream. Private Selection Denali Extreme Moose Tracks Ice Cream sold in 48-ounce containers with a "sell by" date of April 16, 2015 under UPC Code 11110-00456. People who are allergic to peanuts should return the product to stores for a full refund or replacement. QFC stores located in Oregon and Washington. Kroger, Food 4 Less (Chicago), Fry's stores and Smith's stores located in Arizona and New Mexico are not included in the recall. Customers with questions may contact Kroger toll-free at 800-KROGERS (800-576-4377). 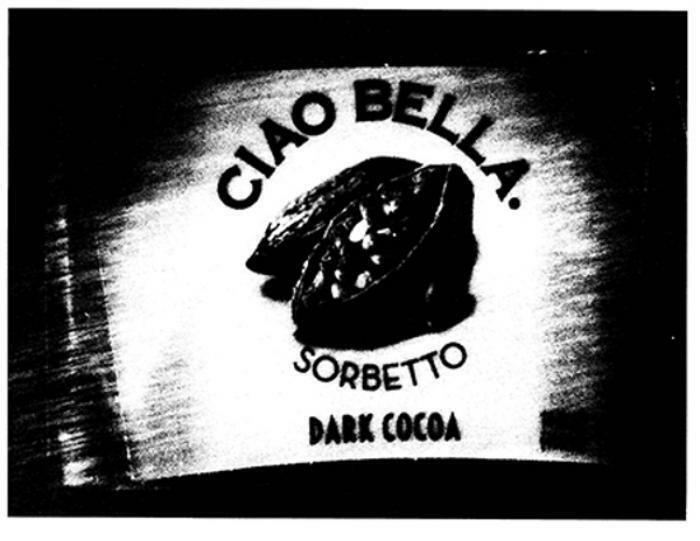 House of Flavors of Ludington, Mich., is recalling Ciao Bella Dark Cocoa Sorbetto. Ingredients may include a dairy allergen, not listed on the label. The company has received one consumer complaint that included an allergic reaction. Only Ciao Bella Dark Cocoa Sorbetto 14-oz. plastic containers stamped with UPC code 9951201206 and date code 14102 and marked “Best by Date: October 12, 2015” is affected by the recall. 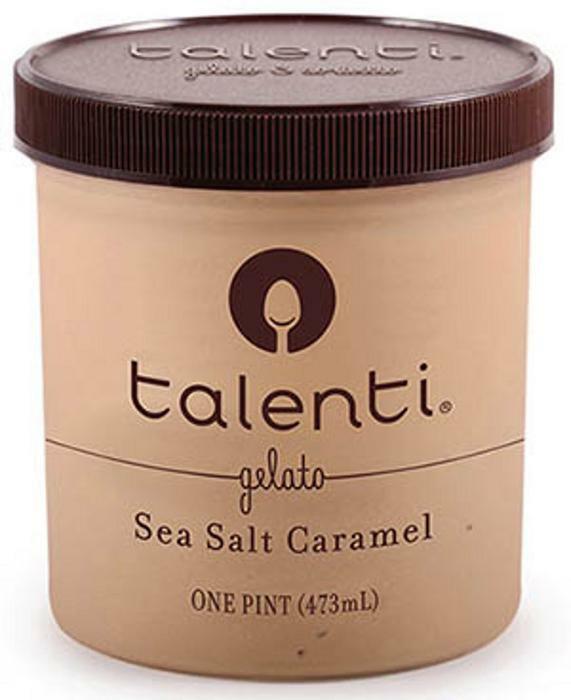 Talenti Gelato Sorbetto is recalling a limited number of jars of Sea Salt Caramel Gelato. The recall was initiated as a result of a consumer complaint. The affected product was distributed in 1-pint (473 mL) clear plastic jars marked with a unit UPC of 8685200024 on the side of the jar, and a best by date of 05/19/2016 located on the bottom of the jar. Consumers who purchased the recalled product should discontinue use of it immediately, retain the plastic jar and call 877-270-7393 to request a replacement coupon. 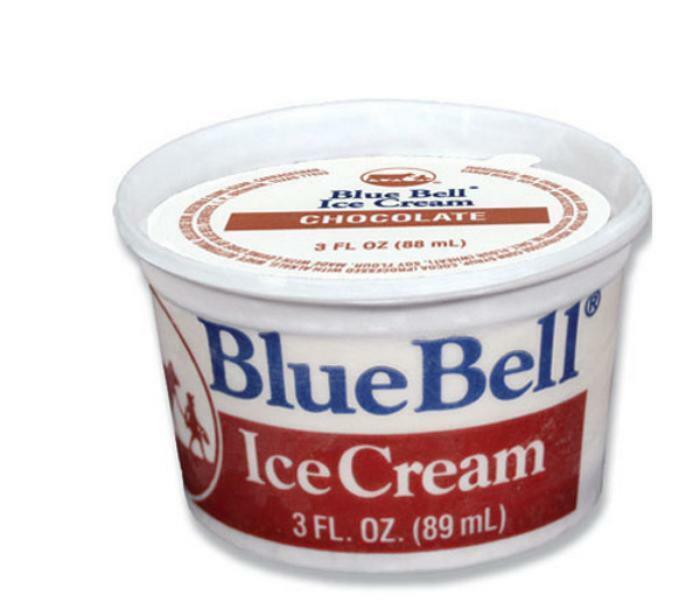 Blue Bell Ice Cream of Brenham, Texas, is recalling 3-oz. institutional/food service ice cream cups -- chocolate, strawberry and vanilla -- with tab lids. There have been no reported illnesses to date. These cups are not sold thru retail outlets such as convenience stores and supermarkets. Consumers who purchased these items should return them to the place of purchase for a full refund. Consumers with questions may call 979-836-7977, Monday – Friday 8 a.m. – 5 p.m. CST. 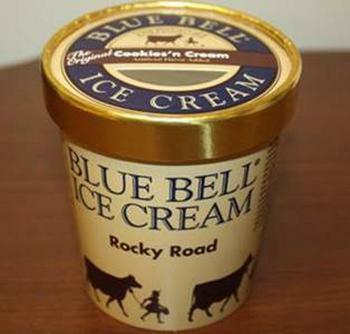 Blue Bell Ice Cream is recalling select lots of Rocky Road pints produced in its Brenham, Texas, plant. The packages may actually contain Cookies 'n Cream ice cream, which contains soy and wheat, allergens not listed on the label. The pints can be identified as a Rocky Road pint with a Cookies 'n Cream lid, and contain Cookies 'n Cream Ice Cream. They can also be identified by the code 022918576 located on the bottom of the pint. The ice cream was distributed through retail outlets, including food service accounts, convenience stores and supermarkets in Texas and Louisiana. Consumers with questions may call 979-836-7977, Monday – Friday ,8 a.m. – 5 p.m. (CST). 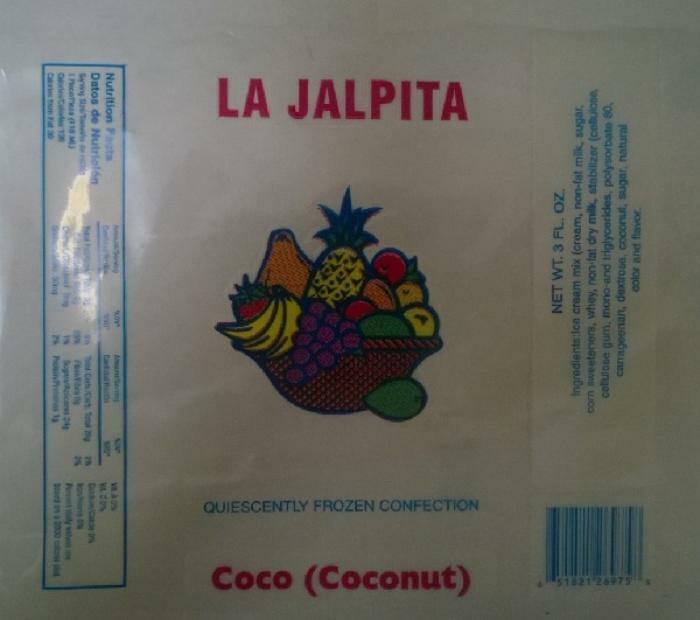 Paleteria La Jalpita of Pasco, Wash., is recalling ice cream bars and popsicles. The products may contain milk and sulfite, allergens not listed on the label. Coconut popsicles were distributed through the state of Oregon and Washington through retail and direct delivery, and the Walnut Bolis were sold only through the retail store located at 202 W. Lewis Street, Pasco Wash. These products, sold between March 2015 and May 2015, come in a sealed clear plastic bag or bolis (tube) and stored in a freezer. There are no codes on labels. Customers who purchased the recalled products should not to consume products if they have an allergy or severe sensitivity to milk or sulfite and and return them to the place of purchase for a full refund. Consumers with questions may contact the company at 1 (509) 545-9551 from 9am-8pm, PT, any day of the week. 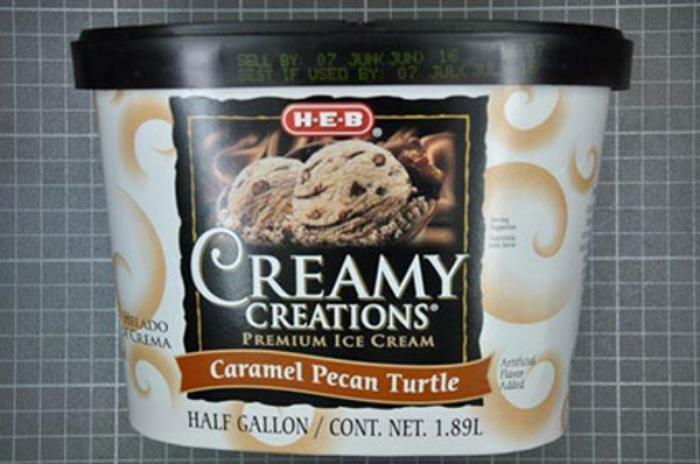 H-E-B is recalling H-E-B Creamy Creations Caramel Pecan Turtle Ice Cream. The product may contain pieces of wood. Customers who purchased the product can return it to the store for a full refund. Consumers with any questions or concerns may contact H-E-B customer service at 1-855-432-4438. 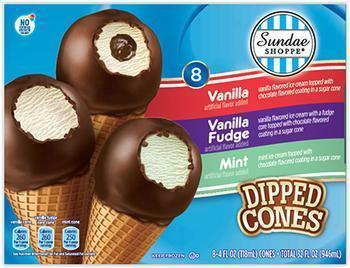 Mister Cookie Face is recalling Sundae Shop Novelty Ice Cream Dipped "Variety" Cones. The recalled product, with the best before date November 14, 2017, is packaged in a 32-oz. box containing eight ice cream cones, has the UPC code: 041498191962, and the plant code 34-2036 located next to the "best by" date. It was distributed only through ALDI Inc.
Consumers with questions may contact the company at 1-800-333-0805 x2270. Beyond Better Foods is recalling select cases from a single production run of Enlightened brand Peanut Butter Chocolate Chip ice cream. The product may have been packaged in Mint Chocolate Chip ice cream containers and thus contain peanuts, an allergen not listed on the label. The recalled product, with a “best by” date of November 18, 2017, was distributed in retail stores nationwide. Consumers with questions may call 1-800-819-2998 Monday-Friday, between 9AM and 5PM (ET). 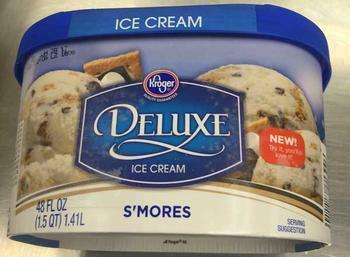 The Kroger Co. is recalling its store brand of Deluxe S’mores Ice Cream. The product may contain peanuts, an allergen not listed on the label. There is no safety issue for those who are not allergic to peanuts. Customers allergic to peanuts who purchased the recalled product should not consume it, but return it to the store for a full refund or replacement. Consumers with questions may contact Kroger at 1-800-KROGERS. AC Creamery of Anaheim, Calif., is recalling its 16-oz. 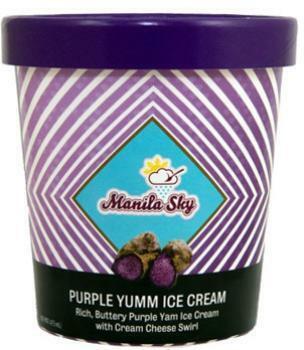 packages of Manila Sky Purple Yumm Ice Cream that may be contaminated with Listeria monocytogenes. The recalled product was distributed nationwide in retail stores and at events such as Florida Food & Lodging Show, Festival of Philippine Arts & Culture and California State University Pilipino American Student Association (CSUF PASA) Friendship Games. An expiration date of Mar 06, 2018, is stamped on the bottom of the container. Consumers with questions may contact the company at 1-714-871-9951, Mondays-Fridays from 9AM -5PM (PT). 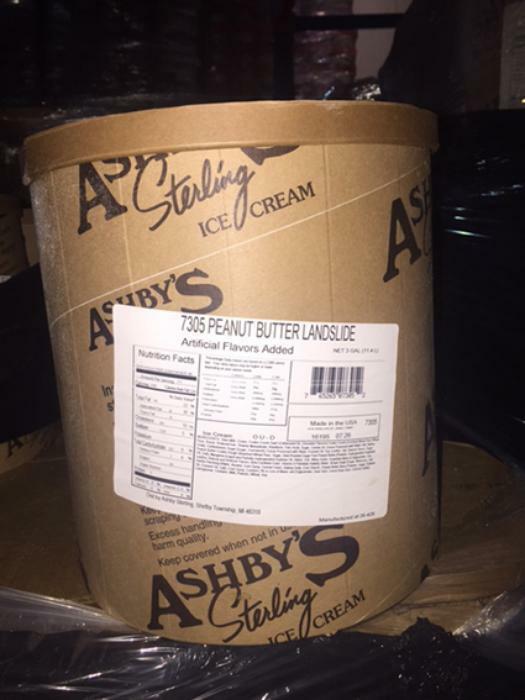 House of Flavors of Ludington, Mich., is recalling its Ashby’s Sterling Peanut Butter Landslide Ice Cream. There are no reports of illness attributed to this product. The recalled product, packaged in a three-gallon container with item number 7305 and lot number #16195, was sold to distributors and ice cream shops nationally. Customers who purchased the recalled product should dispose of it and contact their distributor for a full refund. Consumers with questions may contact House of Flavors consumer affairs at 1-800-930-7740, extension 2229, Monday – Friday 7 a.m. – 5 p.m. (EST). 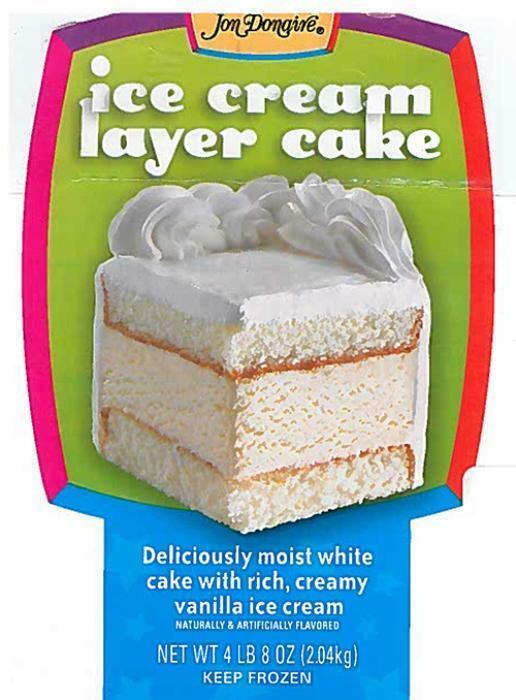 Rich Products Corporation of Buffalo, N.Y., is recalling approximately 6,600 cases of ice cream cake products that may contain walnuts, an allergen not declared on the label. The recalled products were sold to distributors and in-store retail bakeries nationwide. Customers who purchased the recalled products should not consume them, but return them to the place of purchase for a refund. Consumers with questions may contact Rich’s helpline at (800) 356-7094, Monday – Friday, 8:00am – 5:00 pm (EST). Unilever is recalling Ben & Jerry’s Chocolate Fudge Brownie Pint Slices, which may inadvertently contain Vanilla Peanut Butter Cup Pint Slices. While the slices are individually wrapped and identified as Vanilla Peanut Butter Cup Pint Slices, peanut butter is not declared on the outer product packaging. There are no reports of illness associated with this product. H-E-B is recalling H-E-B Creamy Creations Cherry Vanilla Light Churn Style Half-Gallon Ice Cream from five of its stores. The product may contain a nut allergen not declared on the label. There have been no reported illnesses related to this recall. The recall is isolated to five stores: Carrizo Springs, Crystal City, Eagle Pass #2, Lytle and Pearsall. Kemps of St. Paul, Minn., is recalling individual pints and pint four-packs of Sweet Me Creamery Brookie Dough ice cream. The recall was prompted by consumer reports of an allergic reaction after consuming the product. Two classes of ice-cream buyers have standing to sue Ben & Jerry's and Breyers for using "all natural" labels on ice cream made with synthetic chemical processes, a federal judge ruled. The plaintiffs in the case allege that Ben & Jerry's and Breyers misrepresented their ice cream containing “Dutch” chocolate as “all natural” when in fact it is processed with potassium carbonate, a man-made ingredient. The suit notes that on August 12, 2010, the Center for Science in the Public Interest (CSPI) sent a letter to the ice cream companies identifying about 50 products, including chocolate ice cream and frozen yogurt, that it said were mislabeled. In September 2010, Ben & Jerry's agreed to phase out the use of the “all natural” phrase for products containing synthetic ingredients. The suit, filed in federal district court in Northern California charged the companies with fraud, false advertising and unjust enrichment and raised the possibility that Ben & Jerry's might at some unknown time in the future begin using the “all natural” claim again. The companies had filed a motion seeking dismissal of the suits, claiming among other things that the plaintiffs had not shown any damages. The ice cream companies also argued that the plaintiffs could not reasonably claim they had suffered economic injury since, by their own admission, they not only bought but also consumed the ice cream in question. The plaintiffs, on the other hand, concede that while they have indeed purchased and consumed many pints of the suspect ice cream, they did so under the false belief that the frozen confection was “all natural” and that it would never have passed their lips had they been apprised of its allegedly synthetic nature. Judge Phyllis J. Hamilton denied the companies' motions, allowing the case to proceed. D'Lites Emporium sues after being inducted into "Hall of Shame"
A dispute over "overrun" - the air pumped into ice cream - has led a franchisee of a low-calorie ice cream chain to accuse Rupert Murdoch's News Corp. and Fox 5 News of defaming it in a "disparaging" broadcast "assault." The suit was brought by Matthew Prince, a restaurateur who invested in three D'Lites Emporium franchises on New York's Long Island, only to become enraged when Fox 5 News “inducted” the sweet shops into its “Hall of Shame,” reporting that independent tests had found higher levels of fattening substances than the stores claimed. In his lawsuit, Prince says the D'Lites ice cream is lower in sugar, fat, carbohydrates and cholesterol, and is a healthier alternative to traditional ice cream. It makes the indisputable assertion that, when it melts, ice cream becomes a liquid. When that happens, air escapes and the melted ice cream takes up less space than it did when it was frozen. Prince argues that in its testing of his stores' ice cream, Fox 5 used a quantity of melted ice cream that did not correspond to the appropriate volume of frozen ice cream. “The only fair way to accurately measure the nutritional value of D’Lites’ ice cream is to measure by the volume of the ice cream product in its frozen state as served to the customer,” the suit argues. “In recognition of the extraordinary difficulty in serving a product who’s [sic] properties are in a constant state of flux, the FDA allows nutritional labels for ice cream to be off by as much as 20%,” the suit states. News Corporation owns The Wall Street Journal, the New York Post and numerous other media outlets. The Pampered Chef is recalling about 20,000 ice cream dippers. 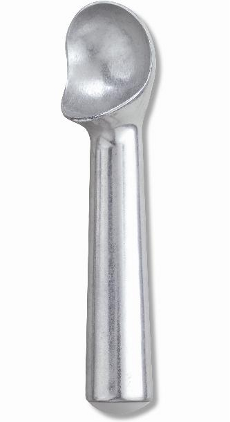 When the liquid-filled ice cream scoop is exposed to warm water, the cap and seal at the end of the scoop handle can fly off with substantial force, posing an impact injury hazard to nearby consumers. The Pampered Chef has received 16 reports including damage to kitchen items and six reports of personal injuries including lacerations, bruises and redness caused by caps coming off the base of the handle. The dippers were sold by Pampered Chef consultants and online at www.pamperedchef.com from July 2010 through September 2010 for about $15. They were made in the U.S.